MONTHLY DONORCo-founder & former coder at Watsi. <3 Watsi for life. Jesse joined Watsi on March 12th, 2013. Five years ago, Jesse became the 7th member to automatically support a new Watsi patient every month. Since then, 5,090 more people have become monthly donors! Jesse's most recent donation traveled 8,700 miles to support Nenglanget, a toddler from Tanzania, to fund a skin graft. Jesse has funded healthcare for 207 patients in 17 countries. Tatu is a girl from Tanzania. She is the fifth born in a family of ten children. Her parents are farmers. Tatu has clubfoot of both her feet. Clubfoot is a condition in which the foot is twisted out of shape. This causes difficulty walking and even wearing shoes. Fortunately, Tatu traveled to visit our medical partner's care center, Arusha Lutheran Medical Centre. There, surgeons will perform clubfoot repair surgery on February 8. Our medical partner, African Mission Healthcare Foundation, is requesting $890 to fund Tatu's clubfoot repair. After treatment, she will be able to walk easily. Tatu’s mother says, “We didn’t want our daughter to grow up disabled, but due to financial challenges we couldn’t take her to hospital. Please help our daughter." Michelot is a student from Haiti. He lives in a small village in southwest Haiti with his mother and other relatives. 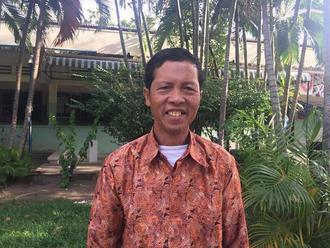 He attends a high school near his home, although he often misses days of class because of his illness. Michelot has a cardiac condition called rheumatic mitral regurgitation. 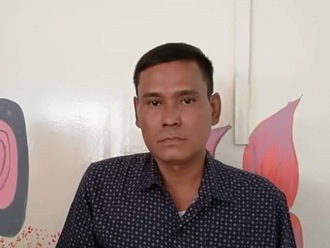 One of the four valves of his heart is damaged because of an infection he suffered earlier in childhood, and it cannot adequately pump blood through his body. 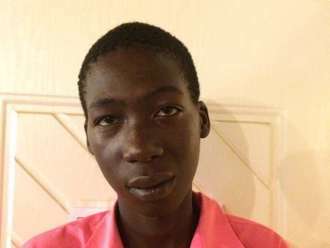 Michelot will fly to the United States to receive treatment. On November 7, he will undergo cardiac surgery, during which surgeons will remove his damaged valve and implant an artificial replacement. Another organization, The Heart Hospital Baylor Plano, is contributing $35,000 to pay for surgery. 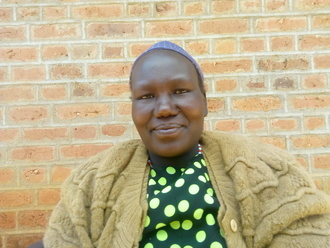 Michelot's family also needs help to fund the costs of surgery prep. The $1,500 bill covers labs, medicines, and checkup and followup appointments. It also supports passport obtainment and the social workers from our medical partner, Haiti Cardiac Alliance, who will accompany Michelot's family overseas. He says, "I have been praying for a long time that one day I could get my heart fixed. I am very happy to have this chance!" 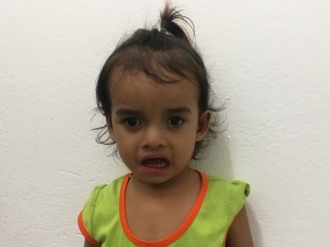 Linda is a two-year-old girl from Cambodia. She has one older brother. She likes to play with her toys at home. In infancy, Linda developed a cataract in each eye, causing her blurry vision and photophobia. She has difficulty seeing things clearly, recognizing faces, and going anywhere outside. 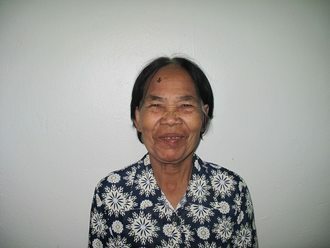 When Linda learned about our medical partner, Children's Surgical Centre, she traveled for one hour seeking treatment. On September 4, doctors will perform a lensectomy surgery and an intraocular lens implant in each eye. After recovery, she will be able to see clearly. Now, she needs help to fund this $398 procedure. Her mother says, "I worry, and I want my daughter to be able to see well so that she can go to school soon." Sweet is a two-month-old baby girl from Burma. She lives with her parents, grandparents, uncle, and two aunts. They live on the family farm in the Kyaw Tha Lit Kho village. Sweet was born at home with the help of a traditional birthing assistant. Shortly after birth, Sweet’s mother noticed that she had a mass near her tailbone. They visited a clinic and were referred to our medical partner, Burma Children Medical Fund. Currently, the mass is growing at a steady rate. Doctors want Sweet to undergo a CT scan, a procedure in which x-ray images taken from several angles are combined to produce cross-sectional images of the body. This scan will hopefully help doctors diagnose her condition and formulate an appropriate treatment plan. Our medical partner, Burma Children Medical Fund, is requesting $469 to cover the cost of Sweet's CT scan and care, scheduled for July 19. Sean is a grandmother of thirteen from Cambodia. She is a rice farmer. She has three daughters, three sons, and thirteen grandchildren. She likes to listen to monks pray on the radio. One year ago, Sean developed a cataract in each eye, causing her blurred vision, itching, and photophobia. She has difficulty seeing things clearly, recognizing faces, and going anywhere outside. When Sean learned about our medical partner, Children's Surgical Centre, she traveled for two and a half hours seeking treatment. On April 30, doctors will perform a phacoemulsification surgery and an intraocular lens implant in each eye. After recovery, she will be able to see clearly. Now, she needs help to fund this $398 procedure. She says, "I hope my vision is restored so I can lead an independent life and keep learning about Buddha."